Banga is a third class municipality in the province of Aklan, Philippines. This small town has repeatedly won national competitions for the "Most Beautiful Town" contests in the country. It is the site of the Aklan State University. 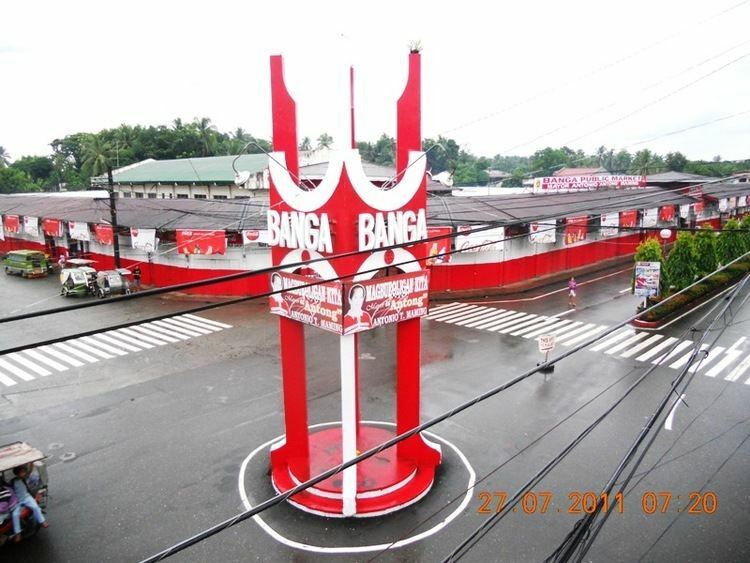 The history of Banga dates back to the 15th century upon the arrival in Panay Island of the Ten Datus from Borneo. While some sceptics considered the account a legend, Banganhons still believe that one of the rulers named Datu Manduyog, ruled over the area with his seat of government located in Bakan, the towns older name. His capital was at the foot of the Manduyog Hill that was named after him. Being a legitimate successor to Datu Dangandanan who ruled what was called Akean in the late 1390s, Datu Manduyog became the Akeanon ruler in 1437 and made Bakan the capital. At the religious sanctuary of Manduyog Hill, an annual pilgrimage is conducted on Good Friday. Devotees practise the 14 Stations of the Cross, pray the rosary, and light candles at each stop while climbing towards the peak where a 40m cross, sometimes lighted, is visible from due north to Kalibo and the nearby sea.